John Cameron was born in Glengarry, Pictou County, Nova Scotia in 1832. His father, John, was a farmer. Cameron was one of four men from Pictou sent to train for the ministry at Glasgow in the first year of the Young Men's Scheme in 1853. This bursary provided twenty pounds to support aspiring ministers who agreed to return and preach in Nova Scotia after ordination. Cameron remained a close friend of fellow student George Monro Grant all his life. 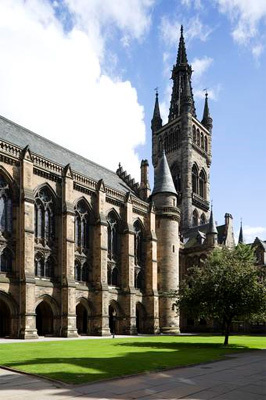 He first matriculated in Theology in 1853, aged 20, and spent the following seven sessions at the University of Glasgow. His twin brother, Alexander, followed his example and matriculated in 1859 for medical training. John Cameron earned a BA in 1857 and an MA in 1858, including courses in Logic, Latin, Greek, Ethics, Mathematics, Physics, Ecclesiastical History, Hebrew Languages, and Divinity. He continued to attend courses in session 1859-1860. He received a DD from the University in 1885. Cameron appears to have excelled in Hebrew; in 1858, he is ranked first in his junior Hebrew course, and took second in 'private written examinations' on the subject; in 1859, not only are his summer exercises dubbed the 'best Profession in Hebrew,' but he is also awarded the top rank in senior Hebrew, 'by the votes of the students.' In 1859-60, he is again lauded for the quality of his summer work in the language. He returned to Canada and served as a missionary in Nova Scotia. In 1861, Cameron took the charge of Dundee, Canada East (now Quebec). He remained there until 1865, when he returned to Scotland and took charge of a parish in Campbellton. In later years, he served as minister in Dunoon. Cameron died in 1907.